Save the date and bookmark this link! More details about this special event are coming. Rick Valicenti is the founder and design director of Thirst, a communication design practice providing design and immersive environments for high profile clients in the architectural, performing arts, and education communities. His work has been exhibited at the Museum of Modern Art (MoMA), resides in the permanent collections of the Yale and Columbia University libraries, Denver Art Museum, and the Art Institute of Chicago, and has been published in The New York Times. The White House honored Valicenti in 2011 with the Smithsonian Cooper Hewitt, National Design Award for Communication Design. In 2006, he received the AIGA (The Professional Association for Design) Medal, the highest honor of the graphic design profession, for his sustained contribution to design excellence and the development of the profession. Valicenti is a former president of the STA (Society of Typographic Arts) and is a member of the AGI (Alliance Graphique Internationale) since being invited to join in 1996. In 2004, he was recognized as a Fellow of the AIGA Chicago. From 2011 through 2015, Valicenti served on the Art Institute of Chicago’s Architecture & Design Society under curator Zoe Ryan. For the past two years, Valicenti has been an adjunct professor at The School of the Art Institute of Chicago. In 2017, he was an appointed Artist-in-Residence at Loyola University of Chicago. Annually, he conducts design initiative thesis critiques at Bowling Green State University, and in previous years, the Rhode Island Institute of Design, University of Illinois/Urban-Champaign, Northern Illinois University, and the Beijing Institute of Fashion Technology. Valicenti has publicly presented his work through lectures, workshops and critiques on the design industry to more than 100 professional and college audiences on five continents. Iker Gil is an architect, urban designer, and director of MAS Studio. Some of the recent projects of the office include the MC01, MC02, and MC03 projects in Marina City with Ellipsis Architecture, the bLUMEN pavilion in Chicago with Luftwerk, the signage standards for the Oneidawith JNL Graphic Design, the documentation of the residents and units of Marina City with photographer Andreas E.G. Larsson, a prototype for a single-family home in New Orleans, an urban proposal for the area surrounding Lambeau Field in Green Bay, and Cut. Join. Play., the first prize in the 2010 Architecture for Humanity Chicago Street furniture competition and exhibited as part of the US. Pavilion at the 13th International Venice Architecture Biennale. 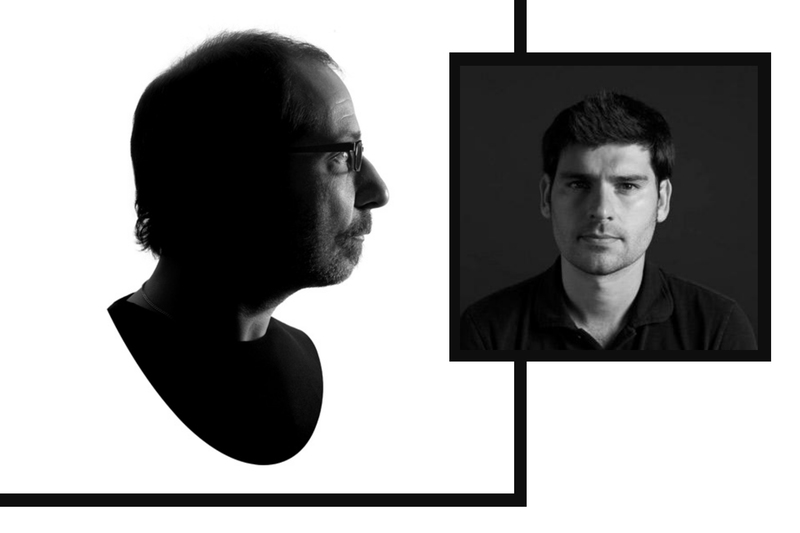 Iker is also the editor in chief of the quarterly design journal MAS Context and the editor of the book Shanghai Transforming (ACTAR, 2008). He curated the exhibition BOLD: Alternative Scenarios for Chicago included in the inaugural Chicago Architecture Biennial, a gallery as part of the exhibition Chatter Architecture Talks Balk at the Art Institute of Chicago, and the exhibitions Shanghai Transforming at the Chicago Architecture Foundation and Virginia Tech, and Synchronizing Geometry held at S.R. Crown Hall (IIT). Iker is the Associate Curator of the U.S. Pavilion at the 16th Venice Architecture Biennale to take place in 2018. In addition, he teaches at the School of the Art Institute of Chicago, he was the co-director of the Chicago Expander program, and has taught studios at the School of Architecture at UIC and Masters Project Preparation at the College of Architecture at IIT.